TODAY’S CONCERT IS SPONSORED BY DR. AND MRS. BARRY H. BODIE. 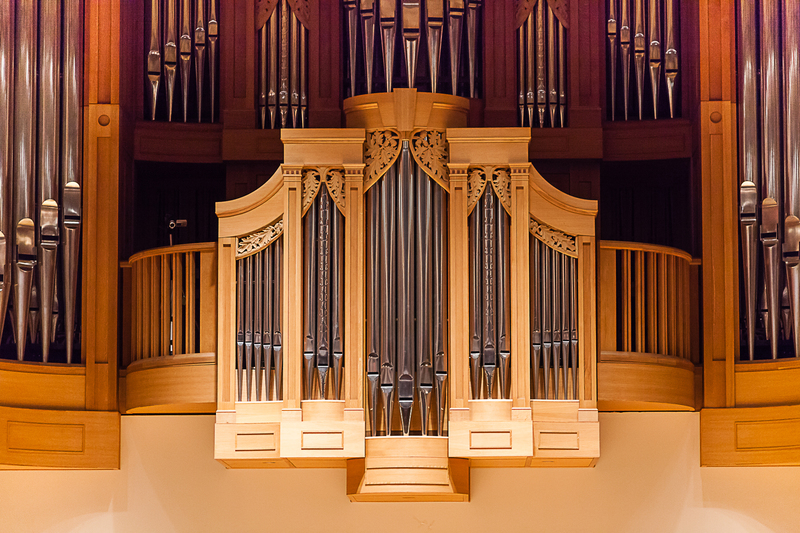 A native of Texas, William H. Bates earned the Bmus in organ and church music and the BA in music theory from Howard Payne University, and both the Mmus and the Dmus in organ performance at Indiana University. During his concert career, Dr. Bates presented recitals and workshops for churches and AGO chapters throughout much of the United States and for a number of music conventions, including national meetings of the American Guild of Organists and the Organ Historical Society. He also played recitals in Europe, including those at Notre Dame Cathedral in Paris and King’s College in Cambridge, England. Before his retirement he contributed articles and reviews to The American Organist, The Diapason, The Journal of the American Liszt Society, and BACH: Journal of the Riemenschneider Bach Institute. Several of his choral works are available from Hinshaw Music (Chapel Hill, NC), and six organ collections have been printed by Concordia Publishing House. From August 1978 through May 2011 Dr. Bates taught at the University of South Carolina in Columbia, where he held the position of Professor of Organ and Music History. He also served as associate dean and director of graduate studies for the music school. He was called back to teach music history during the 2011–12 academic year, this boosting his academic teaching career to forty-six years. In 2012 he was named a recipient of the Oswald Gleason Ragatz Distinguished Organist Alumnus Award at the Jacobs School of Music, Indiana University, and the following year his undergraduate school honored him as a distinguished alumnus. He is coming out of retirement to rejoin his long-time friend, Maestro Donald Portnoy, in this afternoon’s performance.